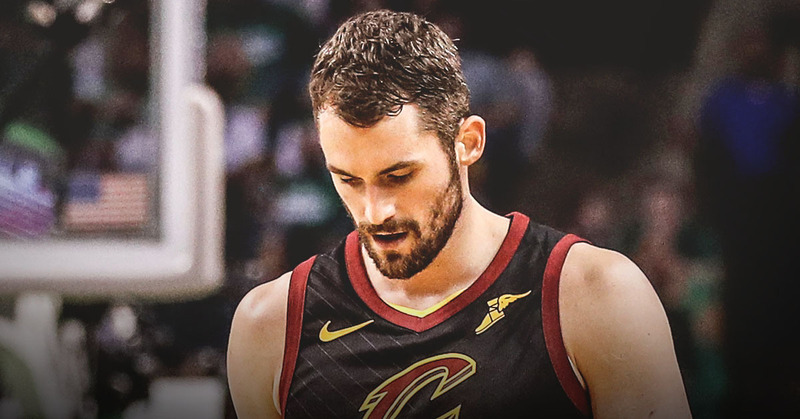 The NBA trade deadline is just a few days away, and while the Anthony Davis situation is garnering all the headlines, the Cavs should be focused on finding a team that is looking to move on from a bad contract or two. The Portland Trail Blazers have a couple of players who could be on the market, and Ceveland is a good destination for them. Portland currently possesses the fourth seed in the Western Conference, but with the way their roster is currently constructed, it’s unlikely that they will be able to make much noise in the playoffs. Damian Lillard, C.J. McCollum, and Jusuf Nurkic are a solid trio, but the Blazers need something more. Their front office realizes this, as rumors have linked them to players like Anthony Davis and Marc Gasol. If Portland is unable to land an impact player before the deadline, they may want to consider offloading some contracts in the hopes of signing someone in the offseason. After Lillard and McCollum, the highest-paid player on the Trail Blazers’ roster is shooting guard Evan Turner, who may as well be the most average player in the NBA. Turner is not bad by any stretch; he is a solid rotation member who plays solid defense, can score in isolation, and distribute the ball. But are his 7.7 points, 4.7 rebounds, and 3.9 assists per game worth his $18 million salary? Probably not. Turner can certainly help Portland, but his complete lack of a three-point shot really hamstrings the offensive spacing, which is a problem when Lillard and McCollum benefit most by slashing to the rim. Turner’s four-year/$70 million contract is just another bad deal given out by teams during the 2016 offseason, when the salary cap spiked significantly. Because of their decision to lock up Turner, the Trail Blazers have been unable to make moves in free agency since. All the way back in 2017, Maurice Harkless was rumored to be the player the Knicks were targeting in a Carmelo Anthony trade. Fortunately for Portland, a deal never materialized. Originally drafted by the Orlando Magic, Harkless was traded to the Trail Blazers before the 2015-2016, and once that campaign concluded, he re-signed with the team for four years and $42 million. The Blazers bet on Harkless continuing to develop, but his 10 points in 29 minutes in 2016-2017 wasn’t exactly encouraging. Since then, both Harkless’s performance and minutes have dropped; this season, he is averaging 6.2 points and 4.0 rebounds in just under 22 minutes per game. His play does not warrant his nearly $11 million cap hit. Meyers Leonard is another beneficiary of the 2016 offseason. At that time, he was coming off of a solid season in which he had averaged 8.4 points and 5.1 rebounds in 22 minutes per game as a 23-year-old backup. Portland took another risk on young talent and gave Leonard a four-year deal worth $41 million. In 2016-2017, he played fewer than 17 minutes per game, and in 2017-2018, his playing time fell to 7.7 minutes per night. This season he is averaging 5.9 points and 4.0 rebounds in 14.4 minutes. Certainly not numbers that would reflect his contract. Leonard is still only 26, but it isn’t the most economically wise thing to pay a backup over $10 million to play fewer than 15 minutes. Of the three aforementioned players, Turner clearly plays the largest role. Even if Portland is reluctant to part with him, the Cavs can still take Leonard and Harkless off their hands. Alec Burks and J.R. Smith would both be able to help the Trail Blazers this year, and would create about $20 million of cap space after the season, which Portland could combine with the rest of their expiring contracts to have some serious cash to play with. If the Cavs include Rodney Hood, David Nwaba, and their two-way players Deng Adel and Jaron Blossomgame, they could take Harkless, Leonard, and Turner, leaving the Blazers with an extra $38 million in cap space. Of course, this would cost Portland some assets. Contrary to the usual value of draft picks, Cleveland should value future picks from the Trail Blazers higher than 2019’s selection, as there is always the chance the Blazers are bad by the time the pick conveys, and that risk is worth taking, as if the Cavs were to get Portland’s 2019 pick, it would most likely be in the mid-20’s. The NBA will also allow high school players to enter the draft in the future, which will enrich the player pool. Harkless, Leonard, and Turner wouldn’t have roles in Cleveland, but they can still help out the team. At this time next year, their contracts will be expiring, which would make them very valuable. The Cavaliers could then flip their contracts for more draft picks and bad contracts, repeating the cycle until they have returned to relevance. The Portland Trail Blazers are in the NBA’s version of no man’s land; too good to get a high draft pick, not good enough to contend for a title. For a price, the Cavs could help Portland exit that phase in one way or another.